While the CRM team was not able to make it to Star Wars Celebration this year, we’ve been spending all weekend keeping up with the news as it flows in from the convention! This year’s Star Wars Celebration was held in Chicago and fans from all around the world traveled to attend the event. Many of our friends featured in past issues of CRM were also in attendance, we’re hoping all of them are having a fantastic time this weekend! Today April 12th, 2019, the Star Wars Episode IX Panel was held. Rumors speculated about the film for months, growing more and more as the panel got closer. Fans speculated that the panel would reveal the title of the new film, a trailer, and the poster. This film is the one that will complete the Skywalker saga, so everyone was paying attention with close eyes and close ears to any knowledge they could gain before the panel. Before the panel, fans spent time trying to guess what the new title would be. Many people guessed that the title would be a reference to an event or line from the prequel trilogy. Referencing the prequel trilogy in this new title would be a really interesting way to throw the story back to it’s beginnings. Of course when many fans heard this rumor, they went straight in to joke quotes from the prequels. So many ideas ranging from “Star Wars Episode IX: Now This is Podracing” to “Star Wars Episode IX: I Hate Sand”, and all of them made us laugh so much. While it does seem silly at first, we know now how much Star Wars is not afraid of using it’s prequel content, especially after bringing Darth Maul back to the big screen the first time since The Phantom Menace in their newest addition to the universe, Solo. As the panel started at 11AM CT, Stephen Colbert came out on stage to start it off. He seemed just as excited about the panel as all of the fans in attendance. “Star Wars Isn’t just a movie, or a cartoon, or a Christmas special, or a breakfast cereal, or a soap dispenser (….) It’s all those things but it’s not just that, it’s a place.” He announced at the beginning of the panel, really going into how much Star Wars means to all of us fans. Colbert also told the audience how he was able to visit the Episode IX set without revealing what he saw there. Next, Colbert announced members of the cast in crew to come out on stage and be interviewed. He spoke with J.J. Abrams, Kathleen Kennedy, Anthony Daniels (C3PO), Billy Dee Williams (Lando Calrissian), Daisy Ridley (Rey), John Boyega (Finn), Oscar Issac (Poe), Kelly Marie Tran (Rose), Joonas Suotamo (Chewbacca), and Naomi Ackie (Jannah). Ackie’s character Jannah is the newest addition to the crew, and while we don’t know much about her character yet, the preview we saw excited us so much! We can’t wait to learn more about her! In addition to the cast were droids R2D2, BB8, and the newest introduction, Dio. The cast talked about their experiences filming the final episode of the saga, only giving away what they could. J.J. Abrams also revealed in the interview how the issue of Carrie Fisher would be handled. He said that it was impossible to recast a role like that and they had already ruled out doing a CGI appearance of her. Luckily they had enough left over footage from The Force Awakens featuring her, and he said that they planned scenes around the footage they had so that it would still be Carrie playing the role of Leia Organa. Finally after all of the actors were interviewed, they stepped off stage and played the teaser trailer for Episode IX. The trailer starts with a voice over from Mark Hamill as Luke Skywalker talking to Rey as she breathes heavily, igniting her lightsaber as a ship that looks like a Tie Interceptor barrels toward her. Text appears on the screen saying that “Every generation has a legend” as the ship speeds toward Rey and she flips over it. We then see a few quick glances at some landscapes, Kylo Ren fighting and his helmet being restored, Finn and Poe, Lando and Chewbacca piloting the Milennium Falcon, and a clip of Rey and Leia embracing. The most haunting and surprising part of this trailer was at the end, as we hear Luke Skywalker say “No one’s ever really gone” followed up a few seconds later with the laugh of Emperor Palpatine. This title leaves us with a lot of questions. Who knows, maybe more will be revealed over this weekend at Star Wars Celebration Chicago! While the title isn’t a direct quote from the prequels, we can definitely see some influence from them! This title sounds a lot like the start of a new story even though this is the last episode of the saga. How could the Emperor return? Where do you think things will be going from here? Do you think they will be setting us up for a new trilogy? 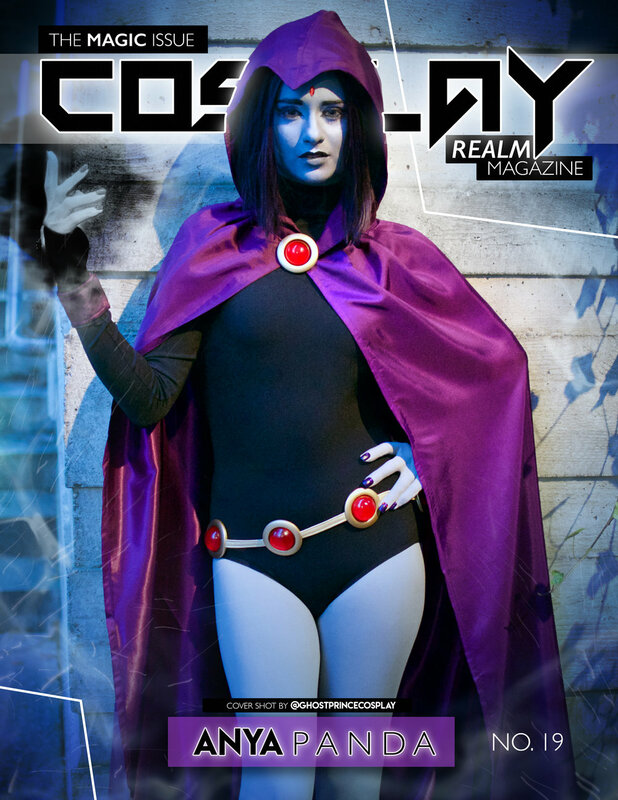 Keep up with the latest in pop culture, convention, and cosplay news by following Cosplay Realm Magazine. New issues released on the first of every month. You can find more great Star Wars content in our Sci Fi issue!